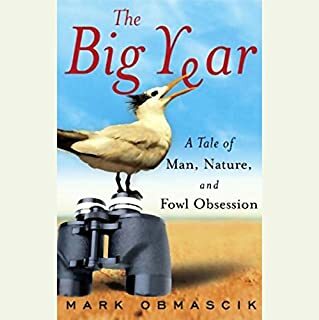 Every year on January 1, a quirky crowd of adventurers storms out across North America for a spectacularly competitive event called a Big Year: a grand, grueling, expensive, and occasionally vicious, "extreme" 365-day marathon of birdwatching. For three men in particular, 1998 would be a whirlwind, a winner-takes-nothing battle for a new North American birding record. While birding literature is filled with tales of expert observers spotting rare species in exotic locales, John Yow reminds us that the most fascinating birds can be the ones perched right outside our windows. In thirty-five engaging and sometimes irreverent vignettes, Yow reveals the fascinating lives of the birds we see nearly every day. Following the seasons, he covers forty-two species, discussing the improbable, unusual, and comical aspects of his subjects' lives. If You Love Birds . . . Grab It! Birds are highly intelligent animals, yet their intelligence is dramatically different from our own and has been little understood. 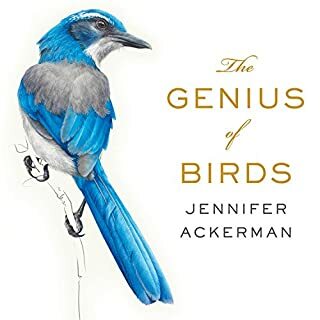 As we learn more about the secrets of bird life, we are unlocking fascinating insights into memory, relationships, game theory, and the nature of intelligence itself. 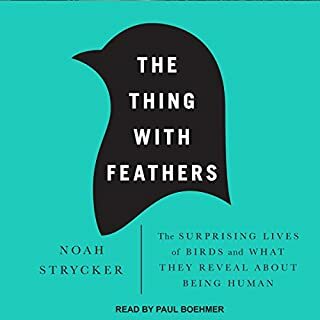 The Thing with Feathers explores the astonishing homing abilities of pigeons, the good deeds of fairy-wrens, the influential flocking abilities of starlings, the deft artistry of bowerbirds, the extraordinary memories of nutcrackers, and other mysteries. 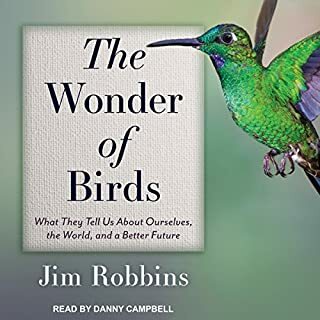 Birds, Jim Robbins posits, are our most vital connection to nature. They compel us to look to the skies, both literally and metaphorically, draw us out into nature to seek their beauty, and let us experience vicariously what it is like to be weightless. Birds have helped us in so many of our human endeavors: learning to fly, providing clothing and food, and helping us better understand the human brain and body. 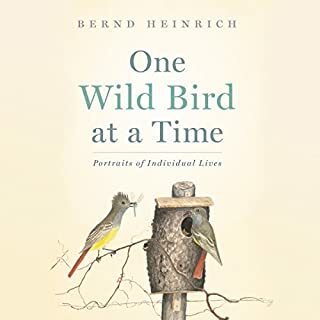 From well-known nature and adventure writer Dan Koeppel, whose work has appeared in Audubon and National Geographic Adventure, comes this true story of one bird watcher's incredible achievements. Discover 10 vital and extraordinary life lessons from one of the most important and influential philosophers and peace activists of the 20th century - Mahatma Gandhi - in this poignant and timely exploration of the true path from anger to peace, as recounted by Gandhi's grandson, Arun Gandhi. In the current troubled climate, in our country and in the world, these lessons are needed more than ever before. In 2008, Lynn Barber's passion for birding led her to drive, fly, sail, walk, stalk, and sit in search of birds in 25 states and three provinces. Traveling more than 175,000 miles, she set a 21st century record at the time, second to only one other person in history. Over 272 days, Barber observed 723 species of birds in North America north of Mexico. An esteemed professor of biology at Wheaton College, John Kricher leads a fascinating discussion of the approximately 10,000 species of birds that share our world. In these engaging lectures, Kricher expands on such topics as bird anatomy, the mechanics of flight, migration, reproduction, and song. The professor's lively presentation demonstrates how understanding the traits, life cycle, and evolution of birds is critical for an understanding of the origins and evolution of life on earth - and why conservation plays a vital role in the environment's delicate balance. Early in 2013 Neil Hayward was at a crossroads. He didn't want to open a bakery or whatever else executives do when they quit a lucrative but unfulfilling job. He didn't want to think about his failed relationship with 'the one' or his potential for ruining a new relationship with 'the next one'. And he almost certainly didn't want to think about turning 40. And so instead he went birding. Birding was a lifelong passion. It was only among the birds that Neil found a calm that had eluded him in the confusing world of humans. But this time he also found competition. His growing list of species reluctantly catapulted him into a Big Year - a race to find the most birds in one year. His peregrinations across 28 states and six provinces in search of exotic species took him to a hoarfrost-covered forest in Massachusetts to find a fieldfare; to Lake Havasu, Arizona, to see a rare Nutting's flycatcher; and to Vancouver for the red-flanked bluetail. Neil's Big Year was as unplanned as it was accidental: It was the perfect distraction from life. Neil shocked the birding world by finding 749 species of bird and breaking the long-standing Big Year record. He also surprised himself: during his time among the hummingbirds, tanagers, and boobies, he found a renewed sense of confidence and hope about the world and his place in it. Know a Birder? This will help you Understand. I'm certain that anyone who is a birder will love this book. Those of us who like birds (sure, who doesn't?) and are glad they're around but don't so much understand the compulsion to chase them down and log every spot and stripe might not be so sure. The good news is that, for birder or non, this book is fascinating. Neil Hayward is a very good writer. He makes you see, hear, and really want those birds right along with him! He's wonderful at describing all the out-of-the-way places a big birder visits and the conditions he/she must endure and all the odd characters (feathered and not feathered) met along the way. And it's not just about the birds! Hayward's year was also about self analysis and self discovery. He's a nearly-40 year old man who is looking for a new direction in his career and facing the reality of his hesitation in forming and keeping relationships. 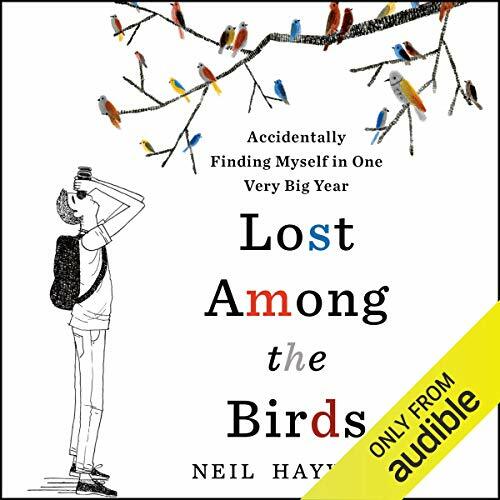 With humor and passion, Neil Hayward sweeps us along on his year-long journey. Lessons about birds, sure, but also about humanity, life, and love are here. All this, plus darn good narration by Sam Devereaux - this book about birds flies high! A backyard birder, I know that the closest I'll ever come to a Big Year is through a book like this. Hayward writes with a typical British self-depreciation: he must have done very, very well in his work (one of the smartest guys in the room) to have financed the travels demanded by such competitive birding. There's some forgivable repetition of form with the way he tries to interweave his ongoing life and love story with each birding adventure, but his obvious enthusiasm for the birds themselves and not just the chance to tick off a list carries the book. His descriptions of fellow birders show that this sport attracts people of all backgrounds, education, and income levels; and they travel to some hilariously uncomfortable places. Ultimately, the message is to go outside, look around, and be very happy that there are birds. Birding is the original "Pokemon-go!" I've known a couple of birders - and they're really not that peculiar. I've seen the movie "A BIg Year." I've even been mildly intrigued by the thought of birding - thought never knowing how one actually began. Then, I listened to this book. Part birding book, part self-help/acknowledgement book - it caused me to buy the National Audubon Society Field Guide to North American Birds - Western Edition as well as downloading their iPhone app! A relaxing read that I listened to all the way through as I drove a great distance , scanning the sky for wings in flight. Yes, nature truly does heal. Narrarator read the story with preccision and ease as if he was actually there every step of the way. If you could sum up Lost Among the Birds in three words, what would they be? In this book we get to follow Neil Haywards birding Big Year. Being a birder, this the birding storyline is interesting and exciting, with good descriptions of birds and birding. The author avoids reducing the species to mere ticks on a list, but in a straight forward but engaging manner he manages to convey his love for birds. Parallel to the birding story we get a vivid insight into the development of his personal crisis which centers around Gerri, his girlfriend. What makes this audiobook so pleasurable is how beatifully these two stories are interwoven. Sam Deveraux's performance is perfect. General impression of story is of a weak, whining self-centered man with sufficient restorers to indulge his ego and write about it. The narration only heighten the impression of self absorption. I obviously don’t understand this man & did not sympathize with him. To me this was one big “oh, woe is me” & lots of contradictions at the end of the story. Perhaps if you are an avid birder, I’m just a beginner, you will find the birding info & the “BIG YEAR” of interest. I found the book enjoyable but it took me a few chapters to get into it. humorous, lots of anecdotal incidents with people and birds. Easy to listen to and understand speaker. 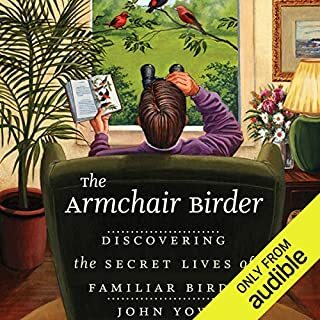 There were aspects of this book that I enjoyed a lot; the descriptions of the birds and how they are found, the camaraderie with the other birders, the glimpse into the strange word of obsessive birding. I also thought the descriptions of how depression affects you were quite good. What I did not enjoy was the endless whining on the author’s part. For a clever guy close to his forties, he came off as incredibly immature and entitled. He tries to assure you that he is aware of this, but I don’t think he quite understands the depth of it. He also seem to harbour a lot more respect and love for his birding heroes, than the woman he lives with. The relationship stuff feels tacked on and I cannot fathom why Gerri stays with him. I wanted to punch something when –after having ditched her for close to a year— Gerri goes home to her family for Christmas and he whines about being lonely and feeling abandoned. Is this guy for real? Enjoyable book if you are a birder or curious about birding culture. Didn't really enjoy this book, but it was useful as a rather monotonous voice to listen to to drop off to sleep to. I actively listened to the last chapter and the epilogue and was annoyed yet again by the self indulgence. The bit in the last chapter about the 'evolution' of birds is just ridiculous and really rather pompous. The only redeeming factor is as mentioned earlier it's perfectly boring to fall asleep to.